Welcome to We Got This Covered’s Deals of the Day. In this brand new column, we’ll be scouring the web in order to bring you hot deals on Blu-Rays and video games. Today, we’ve found three products to help prepare you for the kick-off of Marvel’s Phase Two, which begins with Iron Man 3. Check them out below. To celebrate the release of Iron Man 3, which hits North American shores tomorrow, Amazon is offering some pretty sweet deals on Marvel titles and first up is The Avengers. Both the 3D Blu-Ray and regular Blu-Ray have been marked down this week, with the 3D version selling for $29.99 (a 40% discount) and the regular Blu-Ray going for $19.99 (a 50% discount). Both those prices are pretty good, especially considering this was one of the most exciting blockbuster films of the last decade. If you need to catch up on what’s been happening in the Marvel Universe before you head into theatres to check out Iron Man 3, The Avengers is the perfect way to get caught up. 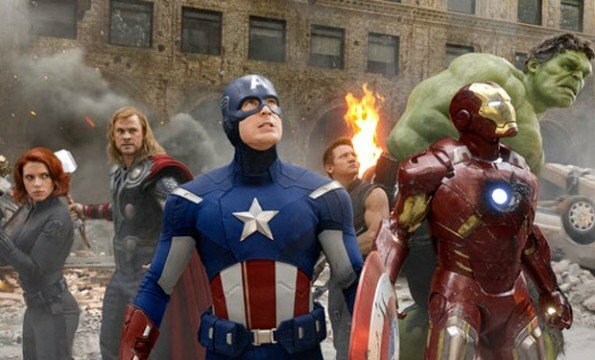 Though Iron Man 3 isn’t a direct sequel, the events that take place in The Avengers are referenced in Tony Stark’s third solo outing and they do effect him, so it’d be a good idea to refresh your memory. And even though it should go without saying, you can also expect a terrific audio/video transfer on the disc as well as numerous special features detailing all the hard work that went into pulling this film off. Tony Stark’s first outing was a tremendous film. It breathed new life into the genre and paved the way for Marvel’s massive plans. The film also helped to kickstart Robert Downey Jr.’s comeback and made him a household name over night. Though Iron Man 3 is arguably a better film, this is still one of Marvel’s best efforts and a very enjoyable and pleasing movie. Oh, and did we mention it’s marked down 67%, which means it’s selling for $9.99. You’d have to be a fool to pass this one up. Admittedly, this is one of Marvel’s weaker films and kind of tarnished the Iron Man name for a bit, until Iron Man 3 came along. That being said, it was understandable as the film was trying to act as a gateway into The Avengers, which ultimately led to most of its troubles. By no means is it terrible, but Iron Man 2 is definitely a bit messy and overall, a letdown. Still, this is a Marvel film and is part of the canon. So if you’re looking to catch up or re-acquaint yourself with Marvel’s Universe, you’d be wise to pick this one up. Plus, at $14.96, a 50% discount, this disc is pretty cheap. Now, just as a side note, if you really want to dive into the Marvel Universe with everything you’ve got, why not pick up the phase one box set? It’s not on sale this week but it includes every film from the first phase of Marvel’s universe and is a fantastic package for those looking to truly immerse themselves with their favorite comic book heroes. Thor, Iron Man, The Avengers etc., it’s all here and it’s one hell of a package. So, what will you be picking up? Opting to go for just the individual films? Or are you brave enough to dive in with the box set? Let us know!